The fan-made, Unreal Engine 4-powered remake of Metal Gear Solid known as Shadow Moses was canceled early last month “for reasons beyond our control,” as the developers said at the time. It was an unsurprising but still disappointing outcome, but there may be a silver lining to the cease-and-desist cloud: The team has announced a new project called The Fan Legacy: Metal Gear Solid, “a first-person experience allowing fans the opportunity to revisit some of the most emblematic MGS levels,” with contributions from original Solid Snake voice actor David Hayter. 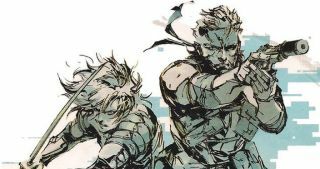 The Fan Legacy: MGS is expected to be ready for release in May, and it will be free, a point the makers seem anxious to emphasize, presumably to help dissuade anyone on the Konami legal team from issuing a cease-and-desist order against it. Good luck with that, guys.